Don’t check, don’t check. You’ll just make yourself crazy. 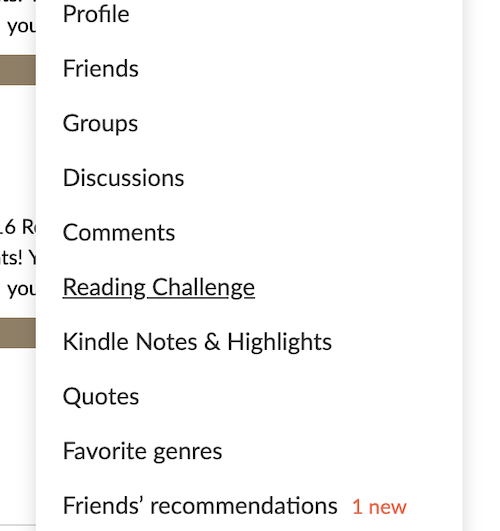 My thumb hovers over “Reading Challenge” in my Goodreads menu. This battle between my mind (don’t do it) and heart (c’mon, do it) happens every time I open my Goodreads app. My heart wins every time. My reaction is always instant and visceral. If I’m on track or ahead, it’s a mental yessss. If I’m behind, I start to panic: What’s the shortest book on my “Want to read” list? Can I knock it out this week? All of this started with a notification that my friend Nici had started a Goodreads challenge. 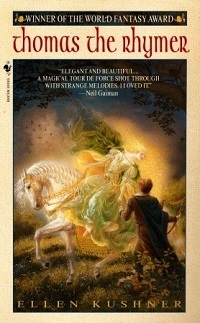 I perked up: A challenge for reading books? I didn’t need to think twice—I wanted in. Because if there’s one thing I can do, it’s put down some books. But then, one day last fall, I suddenly felt a craving to reread Curtis Sittenfeld’s Prep. I tried to ignore it—I couldn’t spare the time if I was going to hit my Goodreads Challenge by year end. I tried to read one page to satisfy my urge, but like with a bag of chips, I couldn’t stop at just one. Nor, as it turns out, could I stop at just one reread. I found myself craving and rereading even more books. By the time December rolled around, I was behind in my challenge with less than a month to go. That’s when I pulled out all my tricks. I got an audiobook so I could multitask. I read the shortest books I could find—turns out single short stories count as whole books. I even finished reading a book I wasn’t enjoying because it would be faster to do that than start a whole new book—and that was when a little part of me died. When did I start prioritizing hitting a number over blissfully wandering inside a story—new or old—that I love? I ended up meeting my goal, but the victory felt cheap. So when it came time to set my goal for 2018, I cut way back: Two books per month seemed doable. But it turns out I had opened a can of worms with the rereading. I missed the days when I used to read what I wanted, when I wanted. Even with a more attainable goal, I found myself making reading decisions based on a number rather than based on my heart, which was a surprisingly sad realization. These days when I open my Goodreads app, I skip right over the menu and get right to good stuff: hunting for and discovering potential gems and keeping track of my journey through pages—new and old alike. Have you quit a reading challenge? 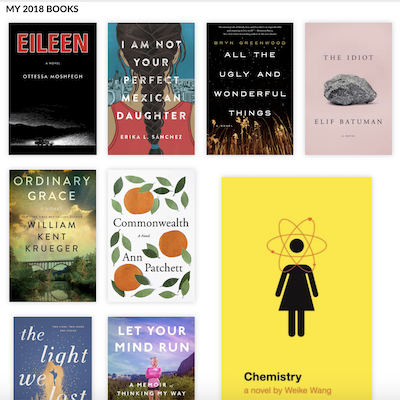 If you’re feeling anxious about it, take a deep breath and check out this Book Riot post immediately: Why It’s Okay to Fail Your Reading Challenge. My solo trip to Toronto in October 2018 mirrored Cheryl Strayed’s Wild trip: long walks, lack of drinking water, and a suspicious man. Sure, my walks were 0.5 km strolls to the grocery store to buy Smart Water bottles for my sensitive stomach, and the suspicious man was an awkward neighbor who scampered away as soon as I glared at him. Mostly, what my Toronto trip had in common with Strayed’s is that it led me back to my independence. I’ve lived with my family for a few years, and sought a place to myself. Thankfully, an acquaintance had invited me to visit her in Toronto. In August, my intuition told me to ask her if I could visit in October. Happily as always, she replied that she was out of town but I was welcome to stay at her place anyway. An empty apartment to myself? Jackpot! I could also satisfy my curiosity about life in Canada. We always want what we can’t have. Of course, as soon as I got there, I started missing my family in Southern California, and mostly missing their help. I had to buy my own groceries, clean up the place, and take out the trash. Who else would do it? I’d lived on my own before, but had been helping out at home for so long that I’d become part of the cozy yet codependent unit. This time, breaking away was harder. I hesitated to accept help from my new friend in Toronto, and called and texted my family constantly, who were of course busy with work and kids. One day I actually cried, as I felt the familiar emotional attachment sever, and I allowed new and mature relationships to enter my life. Eventually, I called home less as I grew comfortable with my own company. In Toronto, I got the quiet I desired. At first, Toronto was a bit too quiet for me, coming from bubbly Southern California. Except for the occasional sorry if they bump into you, people in Toronto pretty much politely keep to themselves. After complaining for a week about the solitude I had asked for, I embraced it. The warm, empty apartment wrapped me in a cocoon and allowed me to process the thoughts I had hidden amongst the comfortable chatter back home. Besides the quiet, Toronto’s inclusivity made it the perfect place for a solo, hijab-clad female traveler like myself. Like Strayed, I began the trip with too much weight on my shoulders, but I lifted it off me as I traveled. I overpacked my carry-on for the departure flight, and it was hard for me to carry through customs. For the trip home, I packed more in my checked luggage, so I could handle the weight of my carry-on. As I breathlessly lugged water bottles back to my apartment—because I was too lazy to get a bus pass and too cheap to use Uber—I remembered Strayed’s words: perhaps the physical suffering would fade away some of my emotional suffering. Alas, by walking daily for one hour, I shed some of the midsection weight I’d gained the past few years, mostly from shared guilt. A loner by choice, I’ve taken many solo trips in the past: New York, Grenada, Northern California, etc. But this one filled me with anxiety, perhaps because I felt it was a catalyst for major change. A new country to coincide with the new me. Although it was a new me I’d been wanting for years, it was still difficult to fathom. For a while now, I knew in the back of my mind it was time to move out, get a full-time job, and get married. The day before I left, I met a potential mate, and soon as I arrived in Toronto I got a job offer back in California. 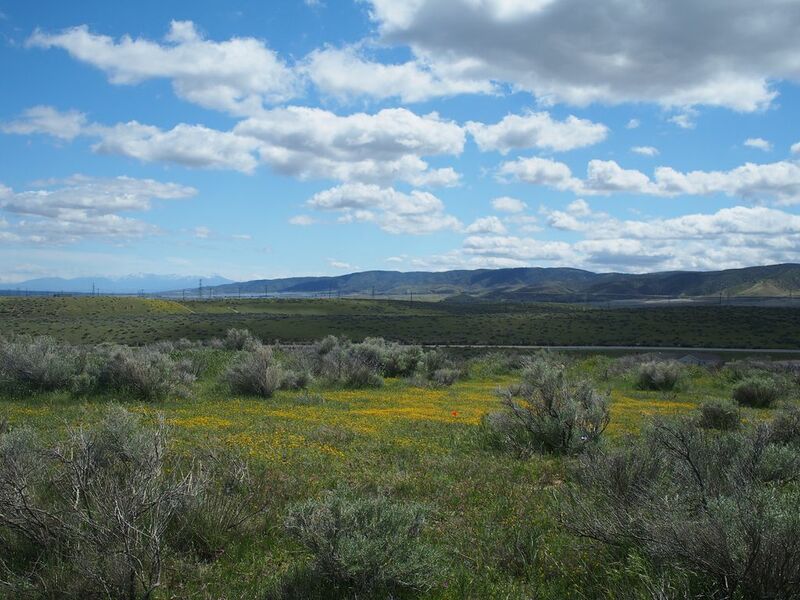 Traveling away from home provided the space I needed for new things to enter my life. My Toronto trip was more than a vacation: it was a tool for emotional detachment. The new scenery, attractions and people distracted me while I pushed myself to accept change. Also, it showed me I could take care of myself, no matter how hard it is. Now that I have been able to rely on myself when I was completely alone, I could do it when I was home surrounded by friends and family. 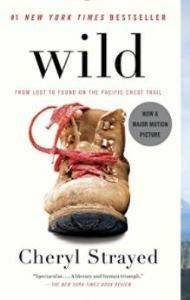 I’m glad I had Wild to guide me through the tumultuous journey of walking towards independence. I didn’t enjoy learning about history in school, not even in college. I took classes, of course, but they were boring and seemed totally disconnected from my life—just a series of world leaders (always men), wars, and dates to memorize. 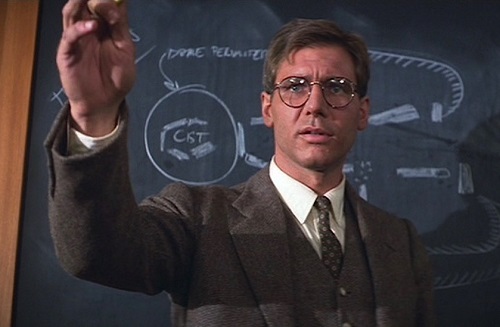 There was definitely no hot Indiana Jones professor to ignite my love of learning about history. The classes were a dull but necessary step along my liberal arts path. But I always adored reading, and I loved fiction best of all. 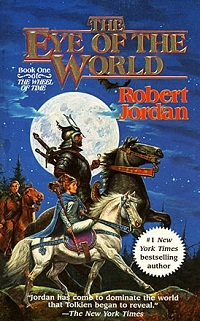 While I thoroughly enjoy a wider range of genres now, my first true love was, and still is, realistic fiction. I become completely invested in the characters, and I truly care what happens to them. I long to be immersed in their world. It is through reading fiction and being exposed to more and more stories that I found myself learning all kinds of history that I’d never picked up in school. I remember several years ago reading Snow Falling on Cedars. I was mesmerized by the gorgeous writing, the riveting courtroom drama, and the beautiful love story. But I was blindsided to learn about the Japanese Americans that were exiled to internment camps during WWII. I was an adult and embarrassed that I did not know about this piece of my country’s history. I did not remember ever hearing about this in school. Fiction gives voice to the voiceless and enables a broader view of history by portraying those suppressed stories. 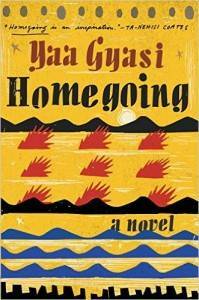 Books like Homegoing and Beloved taught me about the personal devastation wrought by slavery, and The Things They Carried gave me a glimpse of what Vietnam soldiers endured. Last year’s insightful There There helped me consider the lives of Native Americans in urban America. Americanah and The Buddha in the Attic allowed me to imagine what it might be like to be an immigrant making their way in a new country. I’ve learned about the broader world as well. Khaled Hosseini’s brutal and breathtaking novels have given me a view of Afghanistan and broadened my compassion for the people there. I began to grasp the horrors of war-ravaged Chechnya in the late 1990s in A Constellation of Vital Phenomena. 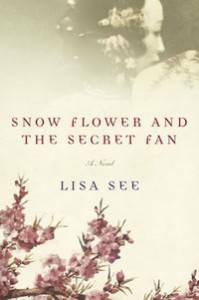 Snow Flower and the Secret Fan taught me about the limited opportunities for women in 19th-century China and made me appreciate the tenacity and courage they must have possessed. The Orphan Master’s Son made me curious about the lives of people living in mysterious North Korea. I know these books are fiction. They are made up stories, not to be confused with nonfiction. But there is truth to be found in the lives of the characters and in the actual history surrounding the settings of these novels. I have found that reading fiction begets more reading. I find a story that sparks my interest, and I look for more—for nonfiction and memoirs, personal essays and biographies. I stumble onto the reality within the fantasy and dig deeper to extract the lessons that history leaves us. 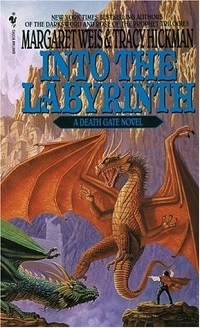 For me, fiction is often a gateway to learning about the real world. More importantly, though, I am reading in a way that broadens my worldview and cultivates compassion for the people around me. 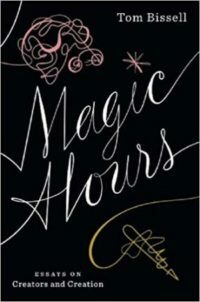 The initial emotional connections I feel to the characters and their circumstances make me care, make me curious, and make me want to investigate further. I want to learn not just the facts but how particular historical events affected the people and communities who lived through them. I want to imagine what they may have felt and experienced. There is plenty of nonfiction that does this as well. I am not advocating an either/or approach here. I’m happy to read all kinds of books. But there are so many perspectives that have not been shown in our history books. And when I hear other readers say, “Why do you waste your time on fiction when there are real stories to read?” this is my answer. I feel that reading fiction has made me a more well-rounded, informed, empathetic, caring person. My world and my heart have grown. And I wouldn’t have it any other way. Ready to read some amazing historical fiction? Try this great list of 50 Must-Read Historical Fiction Books. The only serious romantic relationship I’ve ever had was built on a strong foundation of book recommendations. I can trace a through line from the development of our friendship to an innocent flirtation to falling in love with the books that we shared. To this day, I still sometimes think of him when I’m reading something new that reaches deep inside of me and tugs at my sense of familiarity and truth. We met at work and initially bonded over casual conversations about books and art at lunchtime. The first present he ever gave me was a book, Texts from Jane Eyre. A light, silly book but one that was already tied to an inside joke we had. On one of our first real dates, we went to his favorite local bookstore. I remember reading many love stories during this time. I’d inevitably find a way to relate my budding feelings to those of the characters in the novel. When I was finished, I’d then pass the books along, kind of novel-length love letter. There was something so special about being able to share these internal worlds with another person. It also didn’t hurt that we had similar but different tastes in books, so that we could keep it interesting. It felt comforting that even when we couldn’t be together, we were connected by the lives of these other characters. And then when we did hang out, we would debate the content of the novels, vigorously sharing our opinions on everything from the writing style to the main characters’ choices to the final conclusion. 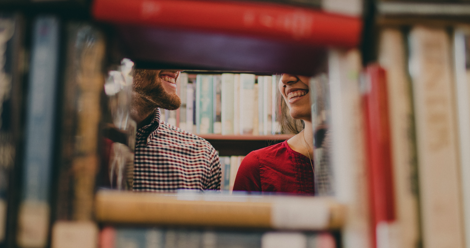 While this relationship stands out most clearly as one that was built partially on our mutual love of books, it is certainly not the only one. Many of my formative friendships growing up were with fellow bookworms. We’d spend hours hanging out in the local library or bookstore, trading books back and forth and joining competitive book reading teams. Reading was also something I share with my dad, one of the few things we have in common. While he tends to read biographies and true crime books, and I’ve always been more dedicated to fiction of all kinds, we have always enjoyed telling each other about the books we are currently reading. There’s a strength to these book-based relationships that I struggle to find with friends who don’t share this passion with me. You can learn so much about someone based on the types of books they read and how they connect to them. It’s why I can never see myself dating someone who doesn’t love to read. Not only because it’s something I love, and that brings me joy and I can’t comprehend why anyone wouldn’t love to read, but because I think that reading is one of my love languages. It allows you to share not just one life with someone, not just one world, but a never-ending series of worlds that spill out before you. They live on the page, but also within you and between you. You can create a totally different kind of intimacy, one that grows and expands with each new addition. I’ve started cultivating this more in my adult friendships as well. While I have plenty of great friends who don’t share my avaricious passion for reading and recommending books, there’s nothing quite like my book friends. One of the best things about graduating with my BA in English was that I no longer had to read the introductions in books. In high school I hadn’t done so, and it took me an embarrassingly long time to figure out that the context other students were getting that I had missed out on was from reading the introduction and not some inherent knowledge they had about the period during which the book was published. With syllabi aplenty in college, our reading calendars were filled out specifically to include the Roman numeral–bearing sections of the texts we read. I started slogging through the introductions before reading whatever book we studied: Middlemarch, Villette, Frankenstein, and others (and, frankly, any other number of books by white women). So goes academia. The drawback of reading introductions—besides frequently being bored by them—was that the plots were often spoiled. 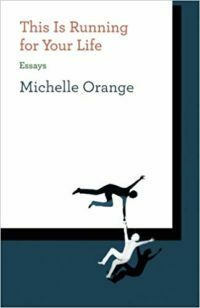 Naturally, much of the literary analysis or criticism that happens in an introduction relies on the central events of the novel. So it was revealed to me that so-and-so was actually so-and-so all along, that what’s-her-face dies in a later chapter, and the love interest for the heroine was actually this other guy all along. Oh. I realize we don’t read fiction in academic settings for entertainment, and so the spoilers shouldn’t matter. Still, I protest—I went into studying English because I am entertained by and enjoy reading because of their surprises. 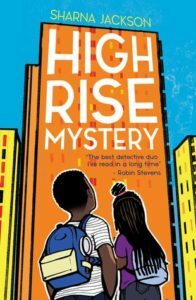 Reading, for me, is sort of like a game some of the time—does the author have the skill to throw me off their trail and surprise me? And yes, much what I read had been around for a hundred-odd years. Surely I couldn’t expect not to be spoiled. Yet I did. And I do. I’d gone a couple of decades without knowing the particulars of Northanger Abbey and The Merchant of Venice—why should I let a handful of pages of preamble ruin such a beautiful streak? (In pursuit of knowledge, of course.) There are enough “classic” works out there that I could reasonably read a number of them without even knowing what they are about, let alone detailed spoilers. When I graduated but continued reading, I went back to ignoring the introductions and any other forewords. I find now that I’m still suffering from a lack of background on a lot of the older material I read. 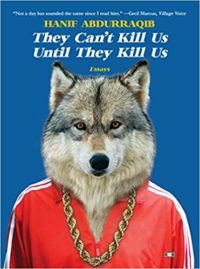 That’s a natural consequence, but there’s nothing saying I can’t go back and read the introduction after I finish the novel. I often don’t, but that’s not the point. Some books include afterwords as well as introductions or forewords. This is especially great because it seems obvious to me that an explanation or analysis of the book—which introductions, in my experience, often end up being—should come after the main text. Spoilers aside, it’s difficult to get much out of an analysis if you don’t have the context. Sure, it’s also challenging to get some things out of a book without historical and other context. But these are things that can usually make sense after the fact. After you understand the context, it’s easy enough to go back to the text in your head and reframe it as an allegory for whatever major war was happening at the time. I don’t worry too much about misunderstanding particular uses of words of the time or references to items or people that I never knew existed. Sometimes, footnotes explain these bits. Other times, you might go for an annotated edition (especially useful for things like Shakespeare, where the language is unusual, to an extent, even for its own time in the pursuit of things like meter and rhyme). And if I run into things that don’t make sense, this marvelous thing called “the internet” helps me out. Despite otherwise being a completionist, I give myself leeway with introductions. They aren’t, typically, a part of the original text. Sometimes, the content is debatable. And too often, I run into spoilers. Those alone are reason enough for me to skip them. If I’m intrigued enough to revisit the introduction after finishing the book, all the better. Do you read the introduction?